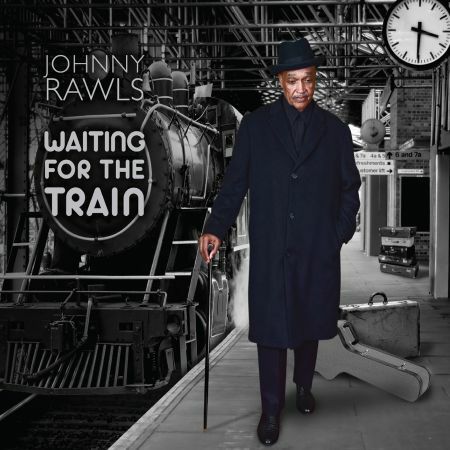 Johnny Rawls calls upon Grammy-winning producer Jim Gaines for the much awaited follow-up to Tiger In A Cage, the 2016 Blues Blast Music Awards nominee for soul blues album of the year. That release was edged out in the voting by Curtis Salgado’s Beautiful Lowdown, but was a sensational release that climbed to the top of multiple charts and remained there for months. And this pleasing CD should receive equal attention. Born in Columbia, Miss., in 1951 and raised in Purvis and Gulfport, Johnny emerged as someone to be reckoned with in the soul-blues community while still in high school, playing guitar behind some of the biggest names in the business — including Joe Tex, Little Johnny Taylor and Z.Z. Hill — when they needed local backup during tours. By the time he reached his early 20s, he was serving as band leader for O.V. Wright, one of the greatest voices and songwriters the genre has ever known. Rawls kept the band together after Wright’s untimely death in 1979, and made his debut as a solo artist six years later. In the mid-’90s, he paired with L.C. Luckett for two albums on the Rooster Blues imprint before going solo for a four-release run on Britain’s JSP Records. He really started making waves after starting his one label, Catfood, with Bob Trenchard in 1997. Two of those releases, Heart And Soul in 2007 and Red Cadillac in 2009, were Blues Music Award nominees. And another, Soul Brothers with Otis Clay in 2015, earned the pair Blues Blast honors for soul blues album of the year. 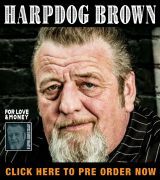 The 2014 Living Blues Magazine male artist of the year, all six of his most recent efforts have climbed into the top 10 of charts around the globe. Waiting For The Train was recorded at Sonic Ranch in Tornillo, Texas, and features Rawls delivering six originals — five co-written with Trenchard and one penned by Trenchard and Catfood label mate James Armstrong — as well as four interesting covers. He’s backed here by The Rays, a unit that’s been together for two decades — originally as Kay Kay And The Rays — and includes Johnny McGhee on guitar, Trenchard on bass, Richy Puga on drums and Dan Ferguson on keys. They’re aided by Andy Roman and Nick Flood on saxes, Mike Middleton on trumpet and Joel Chavarria on trombone and augmented by Jon Olazabal — from the California band The Dirty Heads — on percussion and Janelle Thompson and Shakara Weston — members of the neo-soul group S4TF — provide backing vocals. The mood becomes quiet and somber for “Waiting For The Train.” It only takes a bar or two for you to realize that Rawls is singing about his own mortality. An unhurried take on Bobby Womack’s “I’m In Love” follows before the funky “California Shake” describes surviving an earthquake and “Blackjack Was A Gambler” uses pure Memphis stylings to describe a killing at a card game. A trio of covers — Bob Dylan’s “I Shall Be Released,” Tyrone Davis’ “Turning Point” and Syl Johnson’s “We Did It” — follow before a ballad, “Stay With Me,” revisits the theme of approaching demise. Waiting For The Train is a beautifully conceived album. It’s thoroughly modern and delivered with taste and style. It’s smooth, tight and in the pocket throughout, giving Johnny and his beautiful pipes plenty of space to deliver his message. 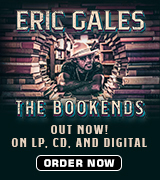 Available direct from the artist at the address above or through CDBaby and other online dealers, it’s definitely up your alley if you love modern soul with an old-school feel.